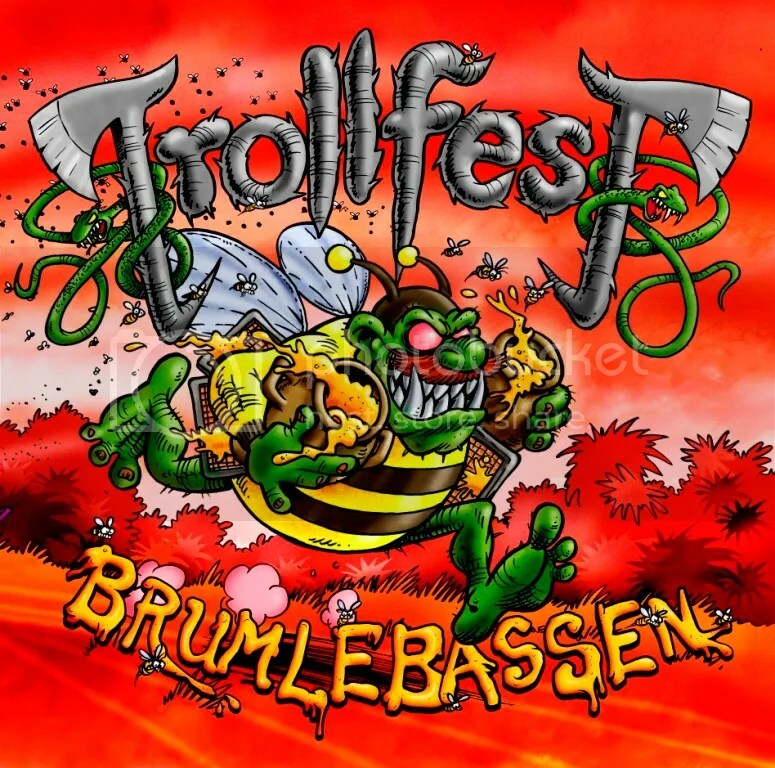 Oslo’s self-styled True Norwegian Balkan Metallers TROLLFEST have today unveiled the artwork for their upcoming album “Brumlebassen”, which is due for release on NoiseArt Records in August of this year. Responsible once again for the amazing images that vividly depict the story of what will be the band’s fifth full-length album, is Swedish cartoonist Jonas Darnell, who originally created the iconic metal duck from TROLLFEST’s “Villanden” album, and has worked with the band ever since. Terje Johnsen, who has been working on the design side of TROLLFEST’S releases since the “Brakebein “album, has once again teamed up with Darnell to produce the finished package.